Faculty of Mechanical Engineering & Automation, Zhejiang Sci-Tech University, Hangzhou 310018, China. On the basis of small axial fan with five blades, 6 types of small axial flow fans with different chord lengths splitter blades were designed. Numerical simulation of 6 fan models with splitter blades and prototype fan were done by using Fluent. 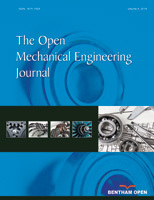 Based on the obtained simulation results, internal flow characteristics and aerodynamic noise were analyzed and compared. It indicates that: splitter blades with suitable chord length have improved significantly on internal flow characteristics, which inhibits backflow from pressure surface to the suction surface at blade tip and leading edge and restrains flow separation. The 6 model fans are better than prototype fan on aerodynamic noise improvement, but too long or too short chord lengths are both disadvantage to improve aerodynamic noise. The results reveal that 2/6, 3/6 and 4/6 chord length model have relatively better acoustic characteristics and internal flow characteristics. The research program will offer a reference for structural improvements and noise reduction on small axial flow fan.